If you are 18 and an American citizen, today’s post is dedicated to you. Celebrate your right to vote and make sure you make it to the polls. Wear your “I voted” sticker with pride and then head home to toast to your presidential and local candidates. 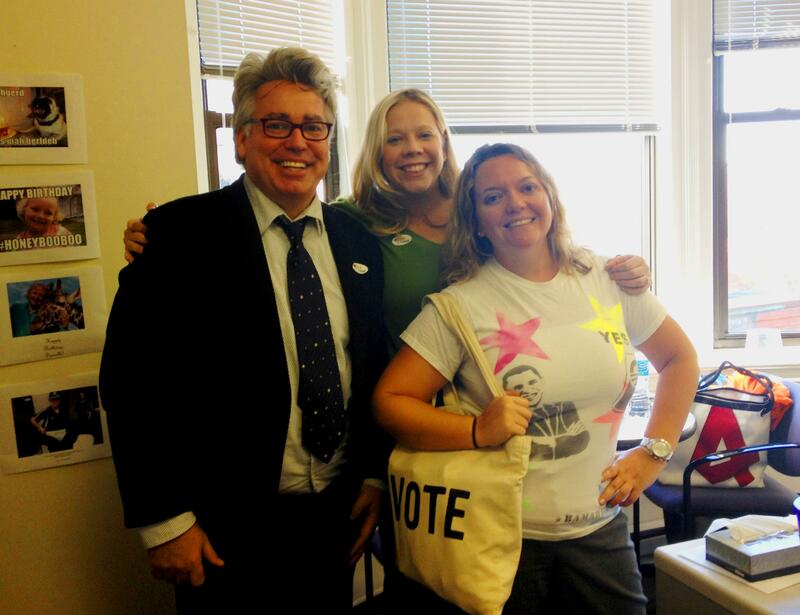 Check out my awesome co-workers Danielle and Patrick getting into the spirit, sporting their stickers, a Obama t-shirt and a stylish VOTE bag. I give them both an A+ for their election day enthusiasm. 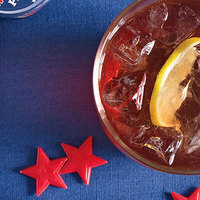 As for tonight’s festivities, if you plan to host an Election Night Bash, here are three, simple “patriotic” recipes from Rachael Ray that I will be trying out tonight to spice up the evening’s news reports. The Pearsons are having a small soiree…. its just going to be me, the hubby and Sadie. 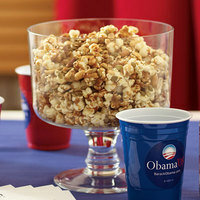 CAMPAIGN TRAIL MIX – Great for snacking or throwing at the TV when the election is not going your way. Preheat the oven to 200 degrees . In a large bowl, toss together the popcorn, peanuts and pumpkin seeds. In a medium saucepan, melt the butter over medium-high heat. Whisk in the brown sugar and cayenne until bubbling and thickened, 2 to 3 minutes. Pour over the popcorn mixture; toss to coat. Season with salt and black pepper. Transfer to a foil-lined baking sheet. Form small clumps of the popcorn mixture and bake until toasted, 40 minutes. Let cool completely. Pour the pomegranate liqueur, bourbon and lemon juice into a cocktail shaker. Add ice and shake well. Pour into a rocks glass over ice and top off with club soda. Serve with a lemon slice. Bipartisan Salad – The healthier and vitamin rich choice (minus the bacon) to help you get through your day tomorrow, after you stay up too late waiting for results. Preheat the oven to 450 degrees ;. On a baking sheet, toss the squash with 1 tablespoon olive oil and season with salt and black pepper. Spread out in a single layer and roast until tender and just starting to brown, about 10 minutes; let cool. Meanwhile, in a large skillet, fry the bacon, stirring, until crisp, about 15 minutes. Using a slotted spoon, transfer to paper towels to drain; let cool. In a small bowl, whisk together the remaining 1/4 cup olive oil, the maple syrup, lemon juice and a pinch of cayenne. Drizzle the dressing over the spinach; toss to coat. 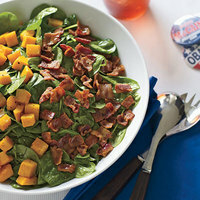 In a serving bowl, top the spinach with the bacon on one side of the bowl and the squash on the other side. Posted in Celebrations through the Generations, Giving with Grace, JubileeTagged Campaign Trail Mix, election, Election Day Bash, election recipes, Obama, Patriotic, Rachael Ray, Vote, votingBookmark the permalink.